Switzerland’s online sports betting environment is currently undergoing some significant changes. In September 2017, the Swiss Parliament passed the Money Gaming Act, which lifted the previous ban on online betting. While online gambling is now legal in Switzerland, there have been further developments in June 2018 that are continuing to shape the industry here. From January 2019, ISP’s will block access to all international sites that do not have the required local authorisation. The changes are an important win for local, familiar casinos, who are now planning their online strategy and opening up markets for local sports bettors. 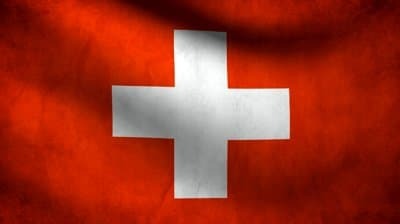 Switzerland saw a constitutional ban on gambling remain in force from 1921 until the 1990s. A bill was passed in 1993 to abolish the ban and resulted in the 1998 Casinos Act being passed which came into effect on April 1st, 2000 . The Act split gambling into two sections: games of chance which included casino games, and lotteries and betting. Lotteries are still banned federally although each canton, or state, is allowed to run their own. While it is the lottery companies that control sports betting in Switzerland, betting as it is commonly recognized is not allowed. With the exception of some local events, the only bets available are pools-style betting on a limited number of sporting events. Pari-mutuel betting on horse racing is also permitted in the French cantons and there are now 11 horse racing tracks located around the country. The operation or enabling of Internet gambling was made illegal in the 1998 Casinos Act, although there was no model put in place for prosecution. In addition to this, there have been no steps taken by the Swiss government to IP block any company providing Swiss betting sites and no penalties for the customers themselves. With limited options for sports betting within Switzerland and no come-back or restriction for using the internet sites, many Swiss who wish to bet on sporting events have turned to companies providing Swiss sportsbooks for betting online. In 2009 a preliminary report came out from the Swiss Federal Gaming Board  recommending the regulation of online gambling. Its recommendations included setting up an agency to combat gambling addiction, a comprehensive structure for taxing the industry and the blocking of unregulated sites to ensure tax income is not lost abroad. Despite the Swiss authorities being aware of this, there was no action taken and no concerns raised until the economic crisis began to take hold in 2012 . Bricks and mortar casinos began to see their revenues drop by 43% in the period between 2008 and 2012, blamed primarily on Italian gamblers preferring to play online rather than make the journey to Swiss casinos, although the amount of tax lost domestically to international businesses raised additional concerns. It was therefore decided that legislation was needed to regulate online gambling. In 2017 the Swiss parliament passed the new Money Gaming Act which is set to come into law during 2018 or 2019. This could open the market up for regulated Swiss betting sites and for Swiss players looking to bet on sports such as football, volleyball, and handball online. While taxes are in place for Swiss operators there are no taxes liable for the winnings of Swiss bettors. If anything did change, as much of the online gambling takes place on technically illegal sites, there is no structure in place to tax players who win on Swiss betting sites. The Lottery sites operating in Switzerland cater completely for a domestic customer base so there are no problems wagering there. 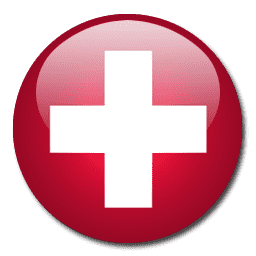 Nearly all international sites have both customer support and a site translation in the three most widespread languages in Switzerland – French, Italian and German. You will not find many sites allowing you store your balance in Francs, unfortunately, meaning you will have to convert them into Euros or US Dollars. This is easily done by the site when you deposit, although rates can change and you risk losing some of the value of your balance due to exchange fees. Despite it being technically illegal to provide banking transactions online betting sites, you will find many Swiss banks allow this. The most common form of depositing funds is through a credit card such as Visa or MasterCard or debit cards like Switch or Delta. You can also use e-wallets like NETeller or Skrill and if you open up Euro accounts here you will not have to exchange your currencies as often if you find yourself moving funds from site to sites. Withdrawals are generally made via the same method in which you deposit, and bank transfers or checks are normally available if this is not possible. As we begin 2018 the new legislation permitting online gaming appears close. There are still some concerns that allowing new operators who specialize in online gaming to set up Swiss sportsbooks would be disruptive to the country but parliament looks likely to go ahead with the relaxed laws. Bettors in Switzerland can find a wide range of Swiss sportsbooks, managed by international operators, in French, German and Italian languages.